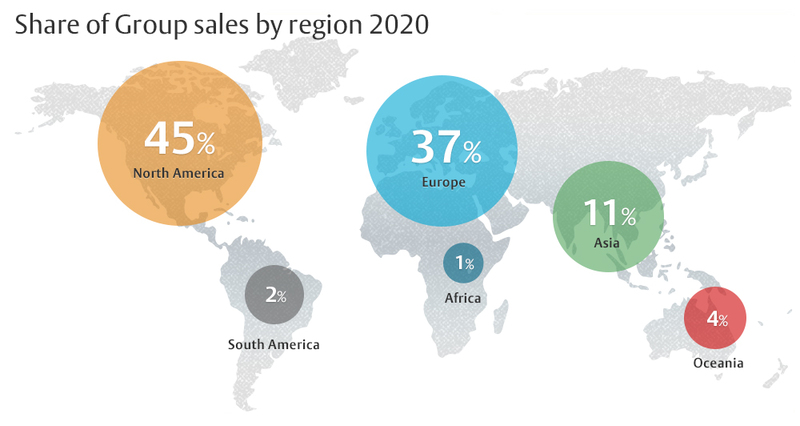 ASSA ABLOY has operations in over 70 countries and sales worldwide. Global expansion takes place through organic growth and acquisitions. For several years the Group has focused on increasing its market presence in emerging markets. Demand for ASSA ABLOY’s products is driven by the increasing need for safety and security as prosperity rises and urbanization continues. In addition, the demand for sustainable door opening solutions is growing, at the same time that technological developments increase the demand for digital and mobile security solutions. These market strategies have been successful through a combination of organic and acquired growth focused on profitable, expanding markets and segments. Increased prosperity and urbanization is leading to new construction and increased demand for doors, locks and access control systems. In emerging markets, an increased need for new homes, workplaces and stores is driving demand for secure door opening solutions. Digitalization and the trend toward complete, multifunctional and intelligent systems is creating new business opportunities.